The McTutor World is still expanding across the globe and now has a significant foothold in Canada, particularly in the metropolitan areas and fast-growing suburbs. Private tutoring is the “new normal” for urban families, continues to grow by leaps and bounds, and remains the fastest growing segment of Canadian K-12 education. The tutoring business has bounced back from the blip of the 2008 economic meltdown and is stronger than ever, generating more than $1 billion in revenues a year. From 2010 to 2013, Kumon Math centre enrollment in Canada rose by 23% and is now averaging 5 % growth a year. One in three city parents in Toronto now hire private tutors for their kids and current estimates approach that proportion in Vancouver, Calgary and Montreal. My September 4-5, 2014 CBC Radio Drive Home Show interviews focused on the trend and tackled the bigger question of why today’s parents were turning increasingly to after-school tutors to supplement the regular school program. A recent inquiry from Peter Stockland at Cardus Foundation prompted me to take another look to see what has changed over the past three years. That’s why I decided to revisit the whole question and update my research findings. Over the past three years, the private tutoring explosion has continued, unabated, and the global market forecast to reach $102.8 billion by 2018 is now projected to be $227 billion by 2022. A September 2016 world trends study by Global Industry Analysts attributed the current boom to three main factors: 1) growing pressure of students to achieve higher grades; 2) the rise of individualized, self-paced academic tutoring plans; and 3) the need to acquire competencies and new knowledge to compete in the global job market. E-learning and online programs are assuming a bigger and bigger share of the private tutoring business. shortage of teachers for tutoring centres and colleges. Private tutoring is now a global business. Eighty-five companies are active globally and five are dominant: JEI, Kaplan, Educomp Solutions, Kumon/Tutor Vista, and Daekyo Company. The Asia Pacific countries, as might be expected, account for a 58.7 per cent share of the business. We now inhabit an increasingly competitive global world. International student testing is one symptom and so are provincial testing programs — and parents are better informed than ever before on where students and schools rank in terms of student achievement. While high school graduation rates are rising, student performance indicators are either flat-lined or declining, especially in Atlantic Canada. In most Canadian provinces, university educated parents also have higher expectations for their children and the entire public education system is geared more to university preparation than to employability skills. System issues continue to influence parents who turn to tutors to address learning deficits in their children. A “Success for All” philosophy and the new focus on “student wellbeing” rather than student achievement provide further inducements to enroll children and teens in foundational and accelerated tutorial programs after school and on weekends. A 2015 Ontario Institute for Studies in Education (OISE) survey showed more Ontario parents opting for private tutoring and, for the first time, that parents who identified as middle or upper class more likely to be using private tutors, giving their children a further advantage. New elementary school curricula in Literacy and Mathematics compound the problem —and both “Discovery Math” and “Whole Language” reading approaches now face a groundswell of parental dissent, especially in Manitoba, Alberta, British Columbia, and Ontario. It’s no accident that the private tutors provide early reading instruction utilizing systematic phonics and most teach Math using traditional numbers based methods. Canadian academic researchers Scott Davies and Janice Aurini identified the dramatic shift, starting in the mid-1990s, toward the franchising of private tutoring. Up until then, tutoring was mostly a “cottage industry” run in homes and local libraries, mainly serving high schoolers, and focusing on homework completion and test/exam preparation. With the entry of franchises like Sylvan Learning, Oxford Learning, and Kumon, tutoring evolved into private “learning centres” in cities and the affluent suburbs. The new tutoring centres, typically compact 1,200 sq. ft spaces in shopping plazas, offered initial learning level assessments, study skills programs, Math skills instruction, career planning, and even high school and university admissions testing preparation. The tutoring explosion is putting real pressure on today’s public schools. Operating from 8:30 am until 3:00 pm, with “bankers’ hours,” regular schools are doing their best to cope with the new demands and competition, in the form of virtual learning and after-hours tutoring programs. Parents are expecting more and, like Netflicks, on demand! A much broader public conversation about the future of traditional, bricks and mortar, limited hours schooling is now underway and will force school systems to look at more flexibility in defining and limiting school hours. What explains the increasing growth of private tutoring? Will the latest trend toward e-learning with online tutoring programs last? How will we insure that access to private tutors does not further deepen the educational inequities already present in Canada and the United States? Will the “Shadow Education” system expand to the point that public schools are eventually forced to respond to the competition? Grade Inflation: Are High Schools Setting Students Up for a Jolt? Alberta teacher Mike Tachynski, a high school science teacher at Edmonton’s Ross Sheppard High School, is a brave soul. In late January 2017, he had the courage to speak up publicly about the critical, but largely buried, issue of grade inflation in Canadian high schools. It was just one more indication that the province of Alberta, once the bastion of higher graduation expectations, was falling more into line with other ‘soft on standards’ provinces. In the three minutes Tachynski was allotted to address the Edmonton Public Schools elected board, on January 31, 2017, he demonstrated that Alberta was not immune to the disease of grade inflation. Moving away from weighing final exams at 50 per cent of the final Grade 12 subject mark was already contributing to ‘grade inflation’ leading to irregularities in grades that unfairly favoured some students over others. “Inflated grades create a lose-lose situation,” Tachynski told the board. Students whose teachers are presenting more rigorous challenges may understand the material better, but have a lower grade on their transcript. On the other hand, he said students with ‘artificially high grades’ may flounder when admitted to college and university programs. The provincial data for June 2016, published in the Edmonton Journal, supported Tachynski’s claim. Some 96 per cent of students were awarded a passing grade in Math 30-1 by their teachers, but only 71 per cent of those who took the diploma exam passed the test — a gap of 25 percentage points. For Chemistry 30, it was 15 percentage points. Going back to 2008, the gaps in pass rates between teacher-marks and diploma exam results had grown in five of 12 subjects over the span of nine years. What’s shocking about Alberta’s slide in standards is that, as recently as November 2011, Maclean’s Magazine had hailed that province as having Canada’s best education system based upon the standards of its graduating students. Based upon a 2011 University of Saskatchewan admission study of 12,000 first-year university student grades, Alberta high school graduates dropped only 6.4 points, compared to as much as 19.6 points for students from other provinces. It was attributed, at the time, to Alberta’s policy of basing 50 per cent of the final grades on diploma exam marks. Grade inflation has been identified as a major concern since the early 1980s in most school systems in the English-speaking world. In 2009, Durham University in the U.K. studied the phenomenon and concluded that an ‘A’ grade was now roughly equivalent to a ‘C’ grade in 1980. Ten years ago, forty per cent of Ontario high school graduates were leaving with an ‘A’ average, eight times as many as in the more conventional British system. In Alberta at that time, it was only 20 per cent, in large part because of compulsory exams in the core subjects. High school grade inflation is now rampant in school systems right across Canada. Out east, the problem was first flagged in a May 2007 AIMS study focusing on the enormous gaps in New Brunswick and Newfoundland/Labrador between assigned class marks and diploma exam marks. In November of 2011, the University of Calgary’s Dean of Arts blew the whistle on the alarming extent of Ontario grade inflation. “There’s an arm’s race of A’s going on, ” he told the Calgary Herald. Since Nova Scotia moved its provincial exams from Grade 12 to Grade 10 in June 2012, that province’s graduation rates have skyrocketed from 88.6 per cent to 92.5 per cent in 2014-15. Students are well aware of the impact of high school grade inflation, especially when they take a real hit in their first set of university grades. It is, according to a former President of the Ontario Student Trustees’ Association, Zane Schwartz, a balloon that’s ready to pop. “Until there is standardization, ” he wrote in a March 2013 Toronto Globe and Mail opinion column,” high-achieving students will keep being told they’re brilliant, low achieving students will keep getting pushed from grade to grade, and students grades will drop when they reach university.” We can, he added, do more to “reign in rampant grade inflation and better prepare students for university environment.” To date, it is my understanding, little has been done to act upon that level-headed student advice. Why has grade inflation become so rampant in most Canadian high schools? How much of the pressure for higher marks comes from university-bound students and their parents? Why have provincial authorities, one after another, either abandoned Grade 12 provincial exams or devalued them in the determination of graduation marks? Is there a graceful way out of the current predicament? Student Behaviour and Discipline: Where’s the School Leadership? School systems tend to be leery of trailbrazers, especially when it comes to instilling rigour and improved student behaviour. One U.K. school head, Katharine Birbalsingh, stands out in this regard. Over the past three years, as headteacher at Michaela School in Brent, North London, she has earned a formidable reputation for her “no excuses” approach that has turned an inner city school serving largely ‘deprived children’ into a model of striving for excellence and ‘optimizing student behaviour.’ That reputation will only be enhanced by March 2017 U.K. Government report, Creating a Culture, authored by researchED founder Tom Bennett issuing a clarion call for school leadership to address the deplorable state of student behaviour in far too many state schools. provide greater guidance for schools on how to manage and support the most challenging pupils. Running through Bennett’s report is one consistent message: the importance of a strong culture of behaviour initiated by the headteacher and running through the school. It is also a message that needs to be heard on the other side of the Atlantic, in Canada and the United States. All of this leads us back to Birbalsingh and her Michaela School. “Are school leaders born or made?” is a question difficult to answer. Yet, some educators with a courage of conviction like Birbalsingh do seem destined to lead. Decried by some as Britain’s “strictest head teacher,” she is definitely breaking the mold and winning converts to the so-called “Michaela Way” of educating children. Born in 1973 in New Zealand, while her father York University professor Frank Birbalsingh was teaching there as a visiting professor, she was raised in Toronto, moved to Warwick, England at age 15, and went on to graduate from New College, Oxford in French and philosophy studies. Education was certainly a high priority in her Guyanese-Jamaican family, going back to her grandfather, Ezrom S. Birbalsingh, former head of the Canadian Mission School in Better Hope, Guyana. Birbalsingh was imbued with that same passion for education. Upon graduating, she chose to teach and write (as ‘Miss Snuffy‘) about life in inner-city schools, producing a lively blog, To Miss With Love. After reading E.D. Hirsch‘s classic, The Schools We Need and Why We Don’t Have Them (1999), she was absolutely convinced about what was wrong with today’s schools and that public education should be about teaching children to pursue knowledge, not ‘learning skills.’ In October 2010, as head of a south London school, she spoke out at a British Conservative Party Conference, lambasting the education system exhibiting a “culture of excuses, of low standards” marooned in “a sea of bureaucracy” and contributing to “the chaos in our classrooms.” Forced to step down in the wake of the controversy, she bounced back in 2014 as the founding head of Michaela, one of London’s newest’free schools’ with alternative programs. The Michaela Way, pioneered by Birbalsingh at the state-funded school, exemplifies, in many ways, the kind of model envisioned in Bennett’s student behaviour report. The school’s head is, to be sure, larger than life, in that school community. Her book on the school, subtitled “Battle Hymn of the Tiger Teachers,” is definitely radical by today’s mushy liberal education standards. “This book should be banned,” says New Schools Network Director Toby Young, because if the parent of any teenager gets hold of it, they would demand the same for their son or daughter. The Michaela School rises to most of the challenges cited in Tom Bennett’s report by essentially clearing away most of the obstacles that “impede improvement.” The vision articulated by Birbalsingh and her carefully recruited staff of youngish teachers is not only clearly articulated but put into action in class, the lunchroom, and in the halls. Since the school head is skeptical about current teacher certification programs, most of the teaching staff have advanced subject specialist degrees (without official teaching papers) and are taught proper teaching and classroom management skills through a mentorship training program. High expectations pop out at you in school assemblies, on wall posters, and in classroom routines. The school, under Birbalsingh, exhibits consistency from top -to-bottom in a fashion that is inspiring to visiting educators and parents. Michaela is different from the vast majority of public high schools in three significant ways: the laser focus on student discipline, the traditional style of teaching, and the explicit character education. “We teach kindness and gratitude,” Birbalsingh says,” because we think that children should be kind to each other and and to their teachers and be grateful for everything we do for them.” That’s her way of describing the consistent focus on educating for respect and responsibility instead of pandering, far too often, to student whims and desires. Michaela School is only three years old, so it has yet to face the biggest test of all — it’s first full U’K. school inspection and, in two years time, its first GCSE examination results. With 30 per cent of students in the Michael school district of Bent on free school meals, all eyes will be on how Michaela fares on those national school and student assessments. If Tom Bennett’s report is any indication, it will pass the ‘student behaviour’ test with flying colours. How important is school leadership in setting the tone and improving student behaviour in schools? Does Tom Bennett’s prescription for U.K. schools have significance as a possible guide for Canadian and American public high schools? What can be learned from the success of Michaela School in inner city London? Would the Canadian system benefit from having a model school like Michaela to help break the cycle of eroding student discipline? Knowledge Matters: Why is the Core Knowledge Curriculum Experiencing a Revival? An 87-year-old education reformer from the Land of Thomas Jefferson and the University of Virginia is now taking education in the United Kingdom by storm. Since being rediscovered by former British Education Secretary Michael Gove, E.D. Hirsch, founder of the Core Knowledge Foundation, is enjoying a renaissance. He’s not only captured the attention of Britain’s brightest education scholar, Daisy Christodoulou, but is now finding a new and more receptive audience in Britain. His recent Policy Exchange Public Lecture on September 17, 2015, has made him the darling of education’s chattering class. Hirsch is being rediscovered by a whole new generation of thoughtful, better-read educators completely fed-up with the “content-lite” curriculum predominant in state schools the U.K. and still blithely accepted across North America. He burst on the American national education scene in 1987 with the publication of Cultural Literacy: What Every American Needs To Know, which – in a rare act of intellectual courage– proposed 5,000 subjects and concepts that every American ought to know to be considered a ‘fully educated person.’ He followed it up with his true educational classic, The Schools We Need and Why We Don’t Have Them (1999). That book spawned the Core Knowledge Foundation which works across the United States to publish “core content” materials and specifies the knowledge and skills which ought to be taught in every school year. The educational pendulum tends to swing and today E.D. Hirsch is literally born again as both a wise prophet and a resilient education reformer. Once dismissed as an American “conservative” educator and purveyor of “hard facts,” he’s now being cherished in Britain as a stalwart defender of “knowledge” in state school systems seemingly mesmerized by teaching “competencies and skills” for the 21st century world. Educators everywhere are awakening to the fallacies entrenched in so-called “progressive education” dogma. If everything can now be “Googled,” why do we have schools? Even though Hirsch is a liberal Democrat, he has been labelled in the United States as an arch-conservative for daring to question the basic premises of John Dewey’s “learn by doing” brand of education. In his September 2015 Policy Exchange lecture series, he demonstrates that teaching knowledge to young children is egalitarian because it provides the foundation for becoming better early readers and more informed young citizens. Developing a sound vocabulary and knowledge about the world, not only aid in reading but make for more successful students. Developing that knowledge base is a “plant of slow growth,” so the early years are important to establishing the foundations. Hirsch is no fan of the fashionable 21st century “students can teach themselves” school of thought. Search engines, he told his British audience at Pimlico Academy, cannot be relied upon to teach vital knowledge. “Google is not an equal opportunity fact-finder”: it requires some knowledge to know where to look in the first place and then to determine whether the information is completely bogus. It’s like fumbling around in a dark room looking for the light switch or trying to find that needle in that massive electronic haystack. Hirsch’s teachings actually flow from a very logical, common sense educational premise: knowledge matters because knowing something remains important — and knowledge builds on knowledge; the more you know, the more you are able to learn. Twenty years ago, in 1993, the State of Massachusetts adopted his “core knowledge curriculum” model and, since then, has surged ahead of the pack among American states. While American education schools, including Columbia, Harvard, and Boston College flirt with Finnish education, the United Kingdom has latched onto the “Massachusetts Miracle” and its initial inspiration, Hirsch’s Core Knowledge curriculum. What we know about reading comprehension owes much to Hirsch. As a professor of English Literature in his mid-fifties, he made a discovery about how reading is taught that, in his words, “changed his life.” The prevalence of poor reading and writing skills among incoming university students troubled him and he set out to address the “literacy gap.” It was most evident in classes where teachers embraced “reader-response” strategies in the study of literature. 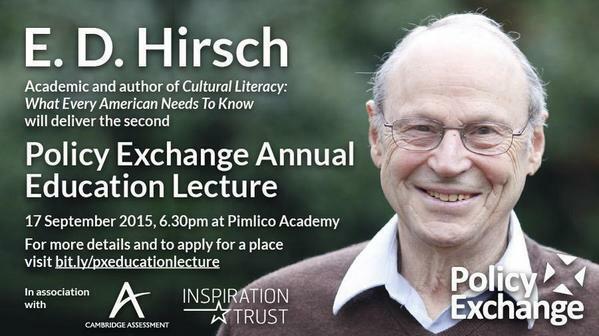 Hirsch is best known as a scholar for his impeccable, in-depth research into reading comprehension. He observed that “knowledgeable students” had an easier time comprehending the texts, and then discovered that reading comprehension was greatly enhanced by the early acquisition of “background knowledge.” His ground-breaking studies, summarized in a Spring 2003 American Educator article, demonstrated that the so-called “fourth grade slump” and stagnating reading scores could be traced back to a fundamental lack of background knowledge as well as weak foundational skills. The “Massachusetts Miracle, “ initiated with the 1993 Education Reform Act, is closely connected with the adoption of knowledge-based standards for all grades and a rigorous testing system linked to those new standards. 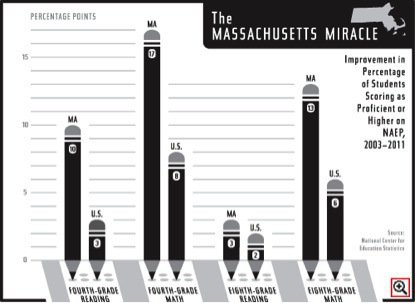 Between 2003 and 2011, Massachusetts students have soared to higher levels on the NAEP tests in grade 4 and grade 8 reading and mathematics. It is also commonly acknowledged that the state standards are Hirsch’s legacy. That is, more than anything else, what attracted the British Education authorities to Hirsch and the advantages of a core knowledge-based curriculum. Hirsch’s curriculum reform agenda implemented in the Bay state spread to about 1,000 U.S. schools, driven by charter school adoptions. While his Core Knowledge framework faced fierce opposition from the Columbia School of Education and entrenched “educational progressives,” the architect of the project remained a determined, almost incurable optimist. The American Common Core reform initiative attempted to mimmic his curriculum with mixed success. The British version, promoted by former Education Secretary Gove, is more closely aligned with his model and will likely be a fairer test of its effectiveness. Why have American education reformer E.D. Hirsch and his Core Knowledge Curriculum come once again to the fore? How much of the “Massachusetts Miracle” is attributable to the adoption of the core-knowledge curriculum, standards and accountability program ? What went wrong when the United States attempted to implement the Common Core Curriculum with the sanction of the Barack Obama administration? How important is the mastery of content and the acquisition of knowledge in the most successful schools worldwide? Teacher Autonomy and School Standards: What Made Lynden Dorval an Alberta Teacher Hero? 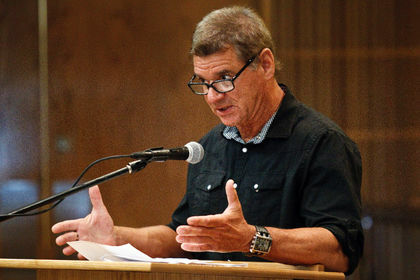 Alberta’s most unlikely hero, Physics teacher Lynden Dorval, has finally been vindicated. Two years after he was fired in September 2012 by the Edmonton Public Schools for giving his high school students zeros for incomplete work, an Alberta appeal tribunal ruled on August 29, 2014 that he was “unfairly dismissed” and restored his lost salary and pension. There is justice, it seems, in the education world. The bigger question is – how did it happen and will it encourage more teachers to stand-up against eroding educational standards? The “no zeros” issue came to a head when the school’s computer generated reports were programmed to substitute “blanks” for zeros, eliminating the practice. Dorval considered banning zeros “a stupid idea” and said he “simply couldn’t follow it.” Two other teachers did the same but escaped any repercussions. The written ruling was particularly harsh in its criticism of the principal and former superintendent Edgar Schmidt. It agreed that Dorval was made an example for challenging the principal’s authority and found that the policy was imposed without proper consultation with teachers, students, or parents. Even more telling, the tribunal was very critical of the Edmonton board for denying Dorval due process during its September 2012 dismissal hearing. The sheer idiocy of the Edmonton Public Schools student assessment policy was clear to most outside the system. Faced with a groundswell of resistance, the Edmonton board of elected trustees itself backtracked, approving a revised student assessment policy (protecting the Lynden Dorvals) and explicitly allowing zero as a possible mark. School system Student Evaluation policy remains a total mystery to most parents and to tuned-in high school students. Over the past two decades, provincial testing programs and school-based student evaluation have been moving in opposite directions. Provincial tests such as the Ontario EQAO assessments hold students accountable for measuring up to criteria-referenced standards, while school board consultants promote the new “Assessment for Learning” (AfL) theories, pushing-up graduation rates through a combination of “no fail” and “do-over” student evaluation practices. Defenders of such ‘soft, pass everyone’ practices like AfL consultant Damian Cooper tend to see enforcing higher standards as a dire threat to student self-esteem. Why did Lynden Dorval become an Alberta teacher hero? It comes down to this: He said “No” to further erosion of teacher autonomy and standards. What Works in Education: What Do PISA Results Tell Us? Today the Organization for Economic Development and Cooperation (OECD) has succeeded in establishing the Program of International Student Assessment (PISA) test and national rankings as the “gold standard” in international education. Once every three years since 2000, PISA provides us with a global benchmark of where students 15 years of age rank in three core competencies — reading, mathematics, and science. Since its inception, United States educators have never been enamoured with international testing, in large part because American students rarely fare very well. So, when the infamous OECD PISA Letter was published in early May 2014 in The Guardian and later The Washington Post, the academics and activists listed among the initial signatory list contained the names of some familiar American anti-testing crusaders, such as Heintz-Deiter Meyer (SUNY, Albany), David Berliner (Arizona State University), Mark Naison (BAT, Fordham University), Noam Chomsky (MIT) and Alfie Kohn, the irrepressible education gadfly. That letter, addressed to Andreas Schleicher, OECD, Paris, registered serious concerns about “the negative consequences of the PISA rankings” and appealed for a one cycle (three-year) delay in the further implementation of the tests. The call for a pause in the PISA tests was clearly an attempt to derail the whole international movement to establish benchmarks of student performance and some standard of accountability for student achievement levels in over 60 countries around the world. It was mainly driven by American anti-testers, but the two Canadian-based signatories were radical, anti-colonialist academics, Henry Giroux (English and Cultural Studies, McMaster University) and Arlo Kempf ( Visiting Professor, Program Coordinator, School and Society, OISE). Leading Canadian educationists like Dr. Paul Cappon (former CEO, Council on Learning) and even School Change guru Michael Fullan remain supporters of comparative international student assessments. That explains why no one of any real standing or clout from Canada was among the initial group, and, by late June, only 32 Canadian educationists could be found among the 1988 signatories from all over the globe. Most of the home-grown signatories were well known educators in what might be termed the “accountability-free” camp, many like E. Wayne Ross (UBC) and Marc Spooner (U Regina), fierce opponents of “neo-liberalism” and its supposed handmaiden, student testing. John Richards’ recent C.D.Howe commentaries should, at least temporarily, silence the vocal band of Canadian anti-testers. His first commentary made very effective use of PISA student results to bore deeply into our key strengths and issues of concern, province-by-province, focusing particularly on student competencies in mathematics. That comparative analysis is fair, judicious, and research-based in sharp contrast to the honey-coated PISA studies regularly offered up by the Council of Ministers of Education (Canada). The PISA results tell the story. While he finds Canadian students overall “doing reasonably well,” the main concern is statistical declines in all provinces in at least one subject, usually either mathematics or reading. Quebec leads in Mathematics, but in no other subject. Two provinces (PEI and Manitoba) experienced significant declines in all three subject areas. Performance levels have sharply declined ) over 30 points) in mathematics in both Manitoba and Canada’s former leader, Alberta. Such results are not a ringing endorsement of the Mathematics curriculum based upon the Western and Northern Canada Protocol (WNCP). The warning signs are, by now, well known, but the real value in Richards’ PISA Results analysis lies in his very precise explanation of the actual lessons to be learned by educators. What really matters, based upon PISA results, are public access to early learning programs, posting of school-level student achievement results, paying professional level teacher salaries, and the competition provided by achievement-oriented private and independent (not for profit) schools. Most significantly, his analysis confirms that smaller class sizes (below 20 pupils per class) and increasing mathematics teaching time have a negligible effect on student performance results. The C.D. Howe PISA Results analysis hit home with The Globe and Mail, drawing a favourable editorial, but was predictably ignored by the established gatekeepers of Canada’s provincial education systems. Why the reluctance to confront such research-based, common sense findings? “Outing” the chronic under-performance of students from certain provinces ( PEI, Manitoba, New Brunswick, and Nova Scotia) is taboo, particularly inside the tight CMEC community and within the self-referenced Canadian Education Association (CEA) circles. For the current Chair of CMEC, Alberta Education Minister Jeff Johnson any public talk of Alberta’s precipitous decline in Mathematics is an anathema. Stung by the PISA warning shots, Canada’s provincial education gatekeepers tend to be less receptive to sound, research-based, practical policy correctives. That is a shame because the John Richards reports demonstrate that both “sides” in the ongoing Education War are half-right and by mixing and matching we could fashion a much more viable, sustainable, effective policy agenda. Let’s tear up the existing and tiresome Neo-Con vs. Anti-Testing formulas — and re-frame education reform around what works – broader access to early learning, open accountability for student performance levels, paying respectable, professional-level teacher salaries, and welcoming useful competition from performance-driven private and independent schools. What’s the recent American Public Noise over “PISAfication” all about anyway? Why do so many North American educators still tend to dismiss the PISA Test and the sound, research-based studies stemming from the international testing movement? To what extent do John Richards’ recent C.D. Howe Institute studies suggest the need for a total realignment of provincial education reform initiatives? Immigrant Student Success: Why Do Canadian Asian Students Outperform Others? Amy Chua, the infamous Asian American “Tiger Mother,” is back with a provocative new book, The Triple Package, that started generating monsoon-high waves even before its publication. Teaming up with her spouse, fellow Yale law professor Jed Rubenfeld, Chua tackles what is considered a taboo subject – why certain “cultural groups” in the United States are “astonishingly successful” and perform particularly well in school. Studying the more materialistic measures of success — income, occupational, status and test scores — Chua and Rubenfeld claim that top performers come disproportionately from certain cultural groups, most notably Chinese Americans and Mormons. While the controversial book focuses on American immigrant student success, it might well apply here in Canada where Asian Canadian students are now academically soaring in the major cities of Vancouver, Toronto, and Montreal. The central thesis of Chua and Rubenfeld’s The Triple Package is not only plausible, but defensible, and that’s what’s driving the legion of critics crazy. According to the authors, three traits breed success: a superiority complex, insecurity, and impulse control. Only when this “Triple Package” comes together does it “generate drive, grit, and systematic disproportionate group success.” Lost in the largely hostile initial reviews in The New York Post, The Guardian, and Salon.com is any reference to Chua’s rather forthright analysis of the downsides of “The Triple Package” –the burden of carrying a family’s high expectations, and the deep insecurities instilled in children that may exact a psychological price later in life. In the case of the Toronto District School Board (TDSB), Canada’s largest public school system, the first comprehensive “demographic snapshot” released in June of 2008 was presented as a wake-up call demonstrating how “the system was failing to help students overcome roadblocks of culture, poverty and family background.” Then Director of Education Gerry Connelly was quoted in The Toronto Star issuing a fateful pledge: “I am bringing an action plan to address the underachievement of marginalized students that will specify targets and actions to break the cycle over the next five years (2008-2013).” Those five years are now up, and the latest TDSB Demographic Profile for 2011-12 seems to accept the dictates of “socio-economic gravity” when it comes to school success. Mounting evidence is accumulating that Garnett cannot afford, any longer, to avoid turning over that stone. 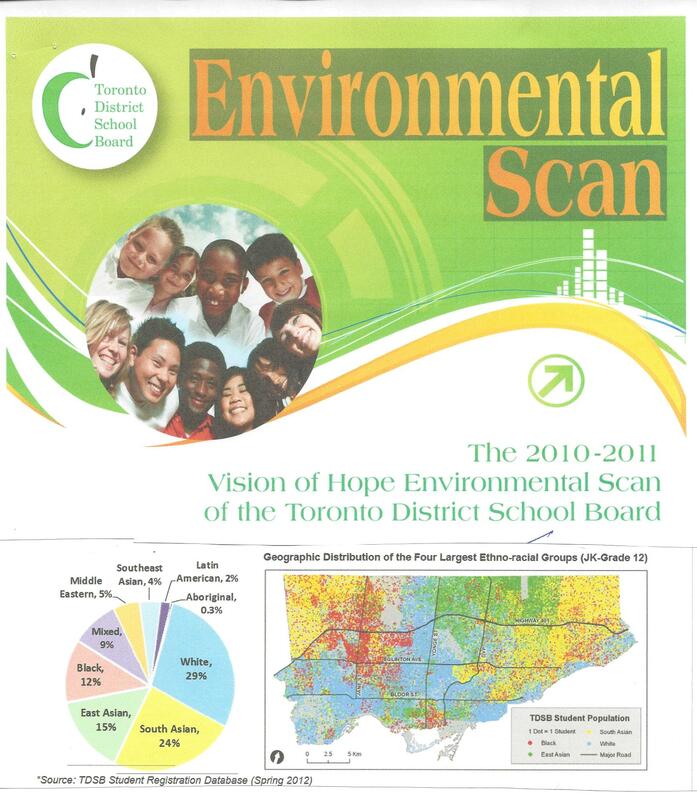 The latest TDSB Environmental Scan for 2010-11 and particularly the Census Portraits for demographic groups has rendered such blinkered approaches almost untenable. Toronto school board research specialist, Maria Yau, and OISE Graduate student Sangeetha Navaratnam, have blown a hole in earlier research assumptions. The most recent Census Portrait of Toronto’s East Asian Students actually confirms the “Triple Package” thesis, and so do the findings of the South Asian demographic analysis. The TDSB research findings for the East Asian and South Asian students, now representing some 40% of the TDSB student population, are impossible to ignore. Taken together, they are now the majority group in the system, larger than the “White” population (31%), and clearly driving recent improvements academic achievement and graduation rates. What explains their recent success? The three East Asian sub-groups from China, Hong Kong, and Korea, according to Yau, share several “commonalities” (i.e., traits): they achieve well academically, spend far more time per week on homework and studying (14-15 hours, almost double that of”white” students); and have parents more likely to expect them to go to university. Asian Canadian students in the TDSB are also setting the academic pace, even though they are not drawn from the most economically-favoured, high income communities. Their academic achievement levels of East Asian students are truly outstanding, especially when so many start as “E.S.L” students. Between 85% and 89% of East Asian students achieve Levels 3 and 4 on the provincial Grade 6 Math test, some 25 to 30 points higher than the TDSB average., and a higher percentage at Grade 10 (84% to 69%) are on track to earn a high school graduation diploma. South Asian students, originally from Sri Lanka, India, Pakistan, Guyana, and Bangladesh, are also performing well, all (except the Guyanese) with Grade 6 Math scores 2% to 15% above the board average. Asian Canadian students in the TDSB are beating the socio-economic odds and performing very well in school. While it is true that more East Asian parents, except those from Hong Kong, have university degrees, parents from China are actually most likely to be in the two lowest income groups (i.e., with annual household incomes of less than $30,000 or between $30,000 and $49,000 per year). South Asian students tend to come from larger families and their parents , except for the Guyanese, are also mostly university educated. Once again, South Asian students have parents mostly in the lowest two income groups, earning under $50,000 per year. American immigrant student research is proving to be closer to the mark than comparable work conducted by Canadian researchers. While Bruce Garnett and OISE researcher Jim Cummins focus on race and language as a disability affecting E.S.L. students, American scholars Grace Kao (University of Pennsylvania) and the late John Ogbu (UC Berkeley) saw great strengths in recently arrived immigrant students. Since 1995, Dr. Kao’s “model minorities” thesis has gained wide currency. She has made a compelling case that Chinese and Korean Americans are imbued with a strong sense of cultural values attaching great importance to achieving economic success through schooling and higher education. Nigerian American Ogbu added credence to the “model minority” explanation by documenting the radically differing academic achievement levels achieved by children of “voluntary” immigrants compared to those from refugee or involuntary minority communities. In short, students from voluntary immigrant groups like the Chinese, Koreans, and East Asians, have higher hopes for school success and apply more effort than the so-called “colonized” and “conquered” immigrants such as Aftrican-American or First Nations children. 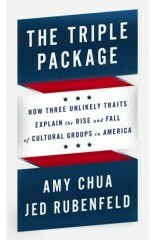 The ground-breaking American studies of Kao and Ogbu, buttressed by recent TDSB demographic research, strongly suggest that Amy Chua and Jed Rubenfeld’s controversial book The Triple Package should not be dismissed as completely off-base and might help to shed more light in the dark corner of North American education. Why are Canadian Asian students performing so well in Toronto, Vancouver, and Montreal public schools? Do East Asian and South Asian students exhibit what Amy Chua terms “The Triple Package” of a superiority complex, insecurity, and impulse control? If not, then what else explains their “academic trajectories” and pace-setting achievement levels? And perhaps most significantly, where would Canadian schools (particularly in Toronto and Vancouver) rank in international student assessments without the presence of these high performing students?